Join us for this 13-month program and immerse yourself in these beautiful saturated, not-quite-solid tones of aged muslin. 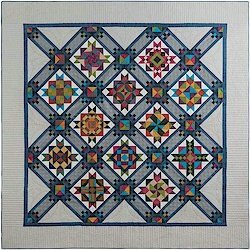 Each month you will learn easy piecing techniques as you make one of the 12 star-themed blocks. Month 13 will be for finishing. 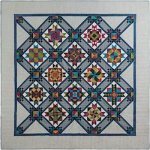 The $ 19.99 monthly fee includes everything you need for the quilt top, the pattern, backing and the binding! The finished quilt is 92” x 92”.